About 6 months ago, I packed up the last 12 years of my life and left Southern California behind. But as much as I love calling Chico my home again, I truly miss the smorgasbord of live music that takes place on a daily basis down south. 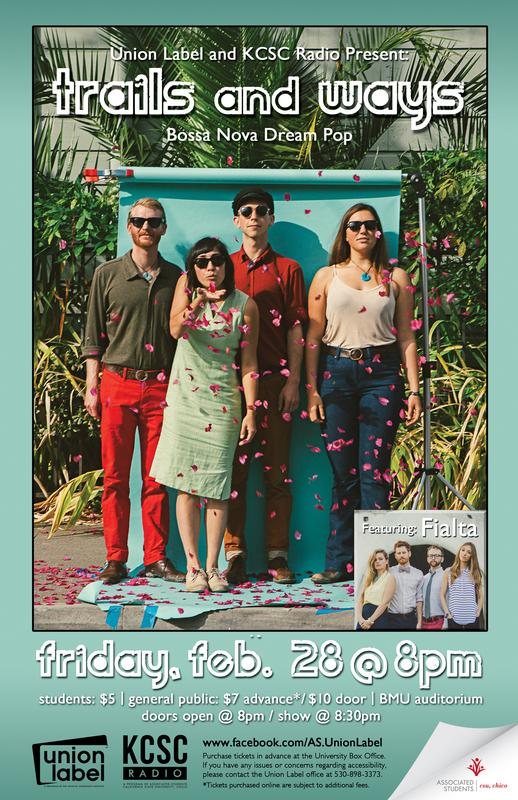 But this Friday (2/28) one of my favorite bands, Trails and Ways, are making the trek up from Oakland for a show at Chico State. They’ll be joined by San Luis Obispo’s Fialta, an indie pop quartet with a super fun and infectious sound. I haven’t been this excited for a show in quite some time. Show details and ticket information can be found on the show’s facebook page. The campus radio station, KCSC, is also giving away pairs of tickets all week.